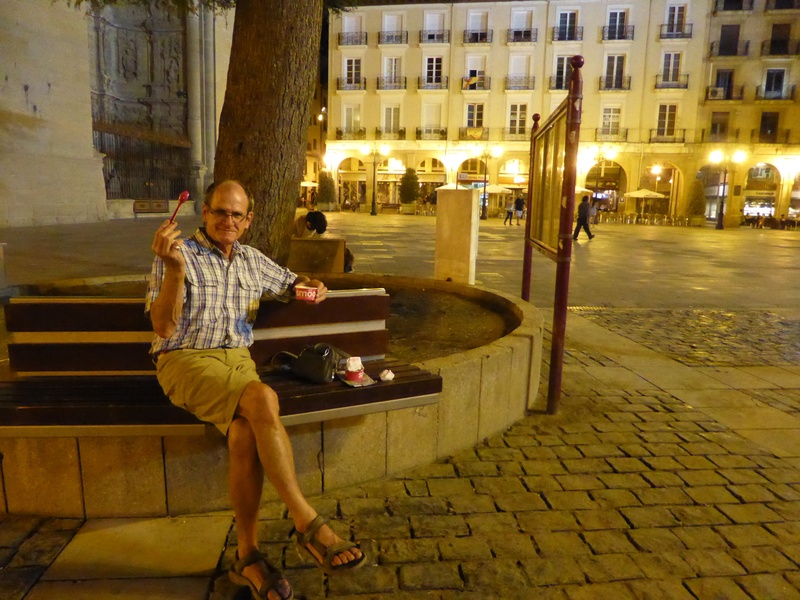 DAY 11: September 3 Viana to Logrono (10 km – that’s right just 10! From yesterday’s written entry “Our hotel Palacio de Pujadas was once a family palace. 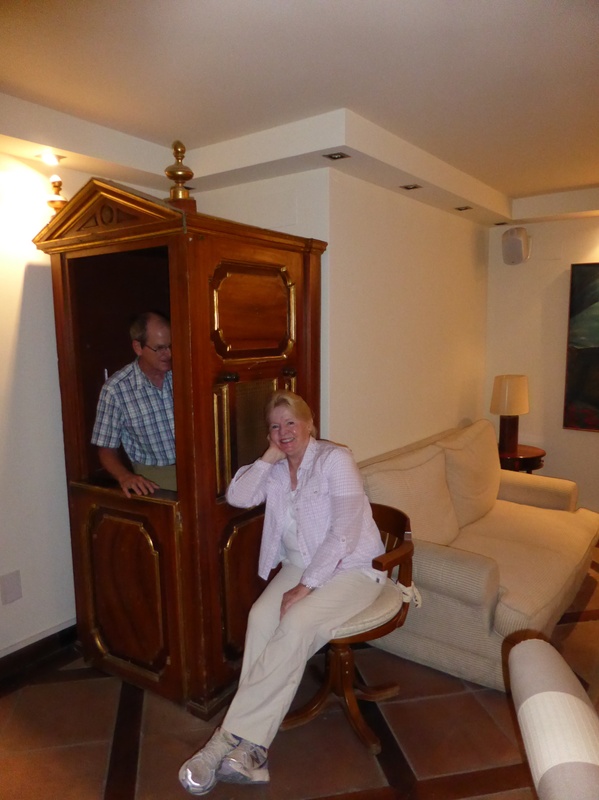 It exhibits many artifacts from centuries ago, including the family confessional.” So on our way out of the hotel we tried it out!! A rare sight – straight, flat, even surfaced and in the shade! Wow happiness is!!! 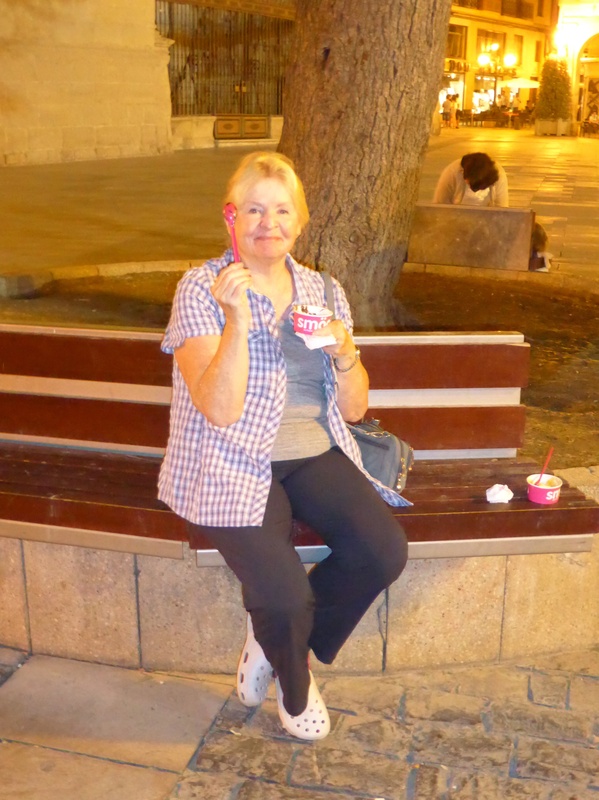 If anyone thinks that Dad likes frozen yogurt, take a look at the expression on Mutti’s face… Great end to a super day! 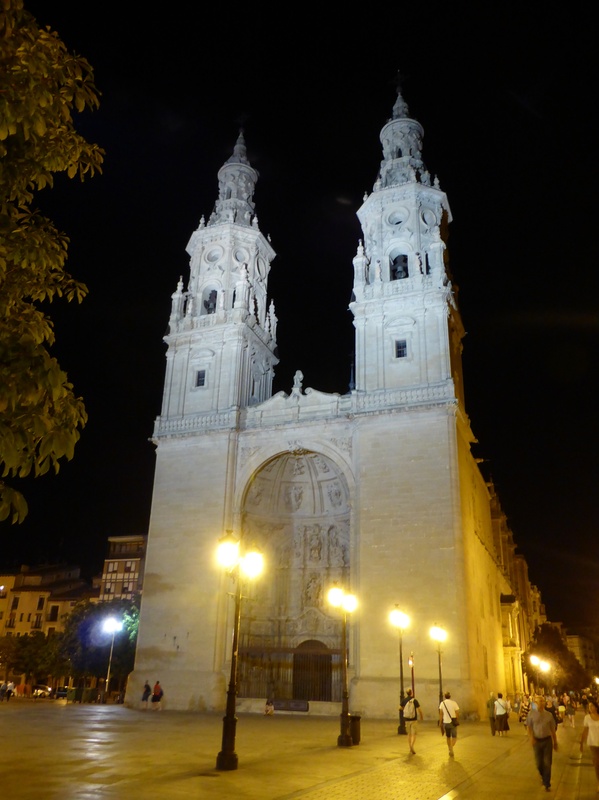 La Redonda – cathedral in Logrono, just next door to our hotel. Thought it looked so beautiful at night. Frozen Yogurt …. ahhhh feels so good at the end of a hot day! 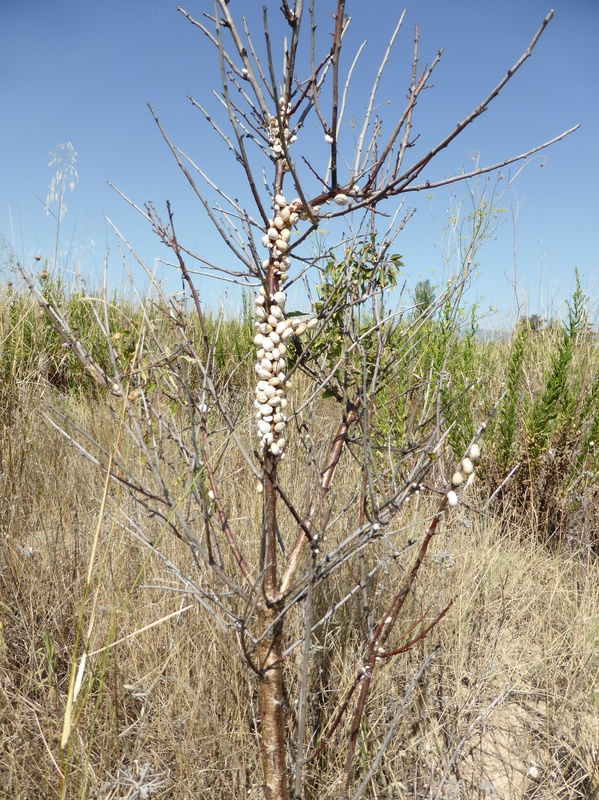 Those are very small snails – behaving like parasites on plants that look like dandelions. They seem to be the only ones they attack. 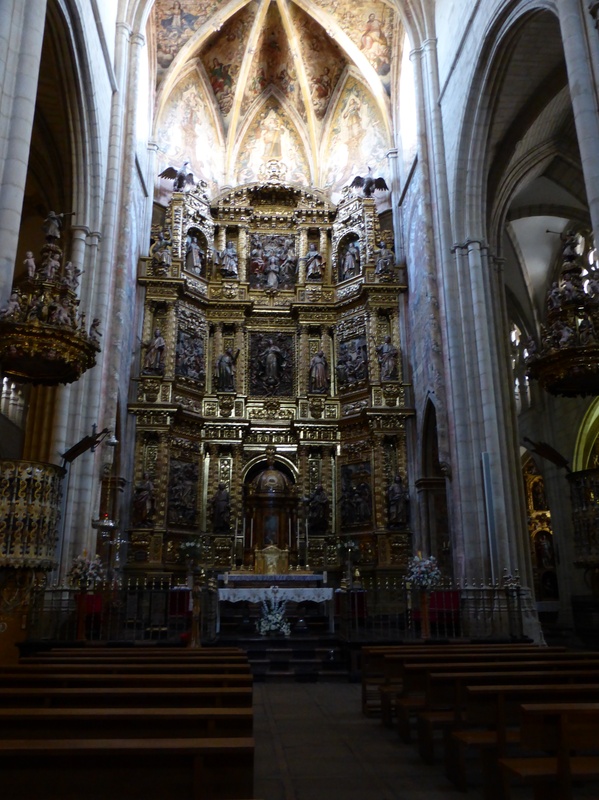 Just down the street from our hotel was another church, another large but beautiful one. That is probably 50 feet high – all gold gilt. 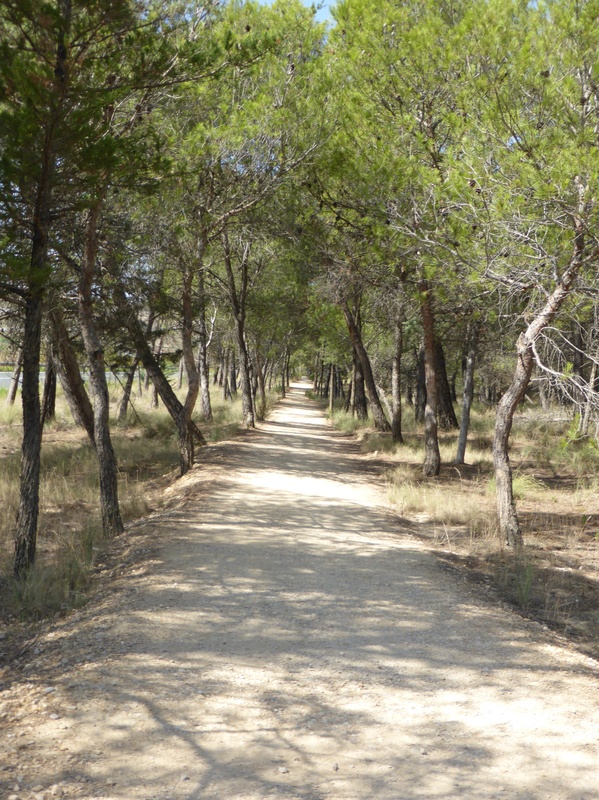 DAY 11: September 3 Viana to Logrono (10 km – thats right just 10! We sleep in a wee bit as today we have a lovely short walk—a stroll really. This day we leave the Navarre area and enter the Rioja area. Much of the time we are paralleling the main road with all the traffic noise. 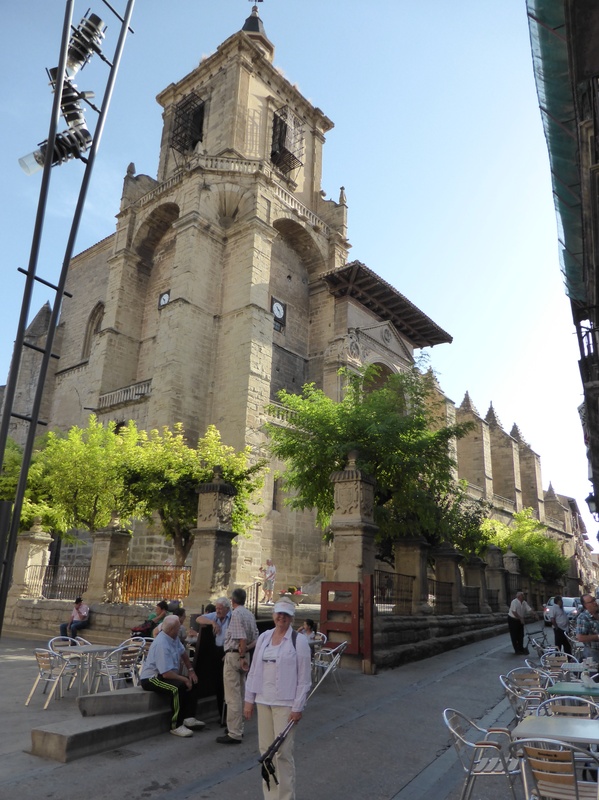 Also, to reach the historic part of Logrono we must first walk through a large industrial area. The time is short and even the industrial area is interesting to us. 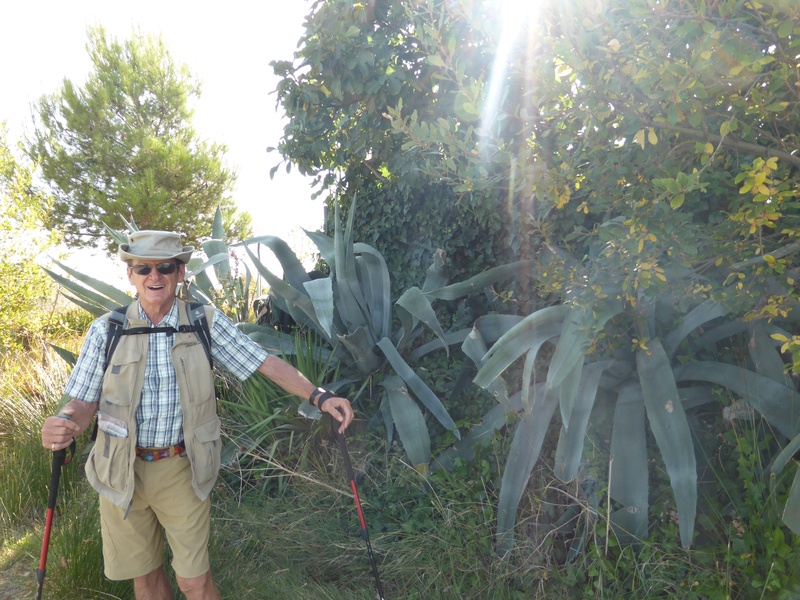 Along the way a fellow pilgrim has generously set up a tapas and wine stop for us. The Rioja wine is ice cold and delicious. We offer a donation but she does not wish payment. Another random act of kindness. We check into our hotel early afternoon, get our laundry organized and go out to see the town. It is nice to have a lazy day:-) Later we wander to a street renowned for pintxos for our supper. We run into two Canadians from Timmins whom we had met back in Estelle. It is nice to cross paths with them again.